E-mail written 2002 to Lew Griffin from Samuel Thomas Culpepper. James T. Culpepper, Son, M, 7, S, AR/AR/AR. Obituary of Paula Lee Downey, published 7 Sep 2007. Education Southern Methodist University, B.A. and J.D. E-mail written 2002-2008 to Lew Griffin & Warren Culpepper from Harris Neil Culpepper (#45589), 21 Bridge St., Topsham, ME 04086, Phone 207-939-7777, e-mail address. Nancy G. Barron, Aunt, F, 82, wid, ch 0/0, GA/GA/GA, Own Income. Allie Thurmond Culpepper, Wife of E. H. Culpepper, 8 May 1866- 15 May 1945. H. H. Culpepper Sr., 12 May 1950 at 55 years in Laurens Co., GA; Res. in Peach Co., GA.
+ Annie C. Reeves, 13 Sep 1898 - 7 Apr 1992. William T. Culpepper, 12 May 1902 - 10 Oct 1944. Emmitt L. Culpepper, Son, M, 10, Sng, GA/GA/GA. Albert Culpepper, Son, M, W, 29, S, GA, GA, GA.
William T. Culpepper, d. 10 Oct 1944 at 42 years in Peach Co., GA.
Allie T. Culpepper, d. 15 May 1945 at 79 years in Peach Co., GA.
Earl Culpepper, Son, M, W, 3 3/12, S, GA, GA, GA.
Crawford County Court of Ordinary, Crawford Co., GA Marriages, 1873 - 1955, Books B/C/5/6/7, Salt Lake City, UT: Genealogical Society of Utah , 1965, Repository: LDS Family History Library - Salt Lake City, Call No. Film # 417017 & 417018. 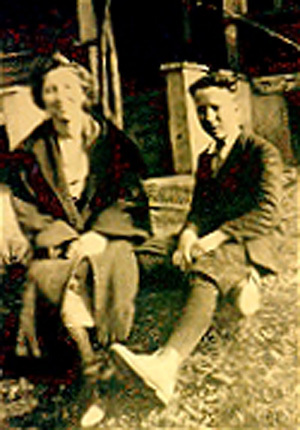 H. H. Culpepper and Miss Vida Holsenbeck on 5 Nov 1922 in Crawford Co., GA, Book 7-150. Vida Culpepper, d. 13 Mar 1934 in Peach Co., GA, 7701. Emmett H. Culpepper, d. 28 Oct 1946 at 80 years in Peach Co., GA; Res. in Peach Co., GA.
Obituary of Gladys Moore Culpepper, 13 Sep 1999. Albert D. Culpepper, d. 5 Jun 1989 at 88 years in Houston Co., GA; Res. in Houston Co., GA, 020181. W. T. Culpepper, Brother-in-law, M, 18, Sng, GA/GA/GA, Farm Laborer. Carolyn Culpepper, Daughter, F, W, 6 4/12, S, GA, GA, GA.
W. T. Culpepper and Bessie Pyles on 17 Jul 1921 in Crawford Co., GA, Book 7-135. Leonard Culpepper, Brother-in-law, M, W, 20, S, GA, GA, GA, Farm laborer. Crawford County Georgia Marriages, Books H-I, 1823-1960. Ula Mae Culpepper and J. G. Heard, 10 Dec 1916. Thomas E. Culpepper, d. 9 Mar 1996 at 69 years in Houston Co., GA; Res. in Decatur Co., GA.
Father* Harris Huff Culpepper Jr.
E-mail written 1999 to Lew Griffin from Mary Anne Massengale Culpepper (#7843), e-mail address. Benjamin Franklin Culpepper, 23 (sic), of Pamlico, NC, born 20 Oct 1891 in NC; Farming for T. G. Wise near Pamlico; No one is dependent upon him for support; single, Caucasian, no military experience, no exemption from service claimed; Medium height, medium build, blue eyes, light hair, not bald and no disabilities. Registered 5 Jun 1917 in Pamlico, Pamlico Co., NC. Benjamin Franklin Culpepper, White, born 20 Oct 1892 in Pamlico Co., North Carolina, resided in Norfolk, Virginia. B F Culpepper, Jr., White, Male, 27, married Lennie Hardesty, 18, on 7 Sep 1919 in Harlowe, Carteret Co., NC. Ben Culpepper was born 1920 in Pamlico Co., NC. Ben Culpepper, White, died 17 Aug 1920 in Pamlico Co., NC. Linnie P Culpepper, White, born 1903, died 8 Aug 1924 in Carteret Co., NC. B F Culpepper, White, Male, 32, married Bessie May Dowdy, 18, on 1 Nov 1924 in Beaufort, Carteret Co., NC. Obituary of John F. Culpepper, Sr. of Norfolk, 25 Nov 2004. Benjamin F Culpepper, born 1859, died 9 Aug 1929 in Carteret Co., NC. James Culpepper, --, M, Wh, 8/12, sng, NC/NC/NC. Mary R Culpepper, White, born 1865, died 9 Jul 1942 in Carteret Co., NC. Benjamin Culpepper, Male, White, Married, born 1893, died 24 Feb 1970 in Morehead City, Carteret Co., NC. Benjamin Franklin Culpepper and Lennie P Hardesty are the parents of Rossie Lee Culpepper, born __ 1922 in Carteret Co., NC. B F Culpepper is the father of Mildred Culpepper, Female, born 1924 in Pasquotank Co., NC. E-mail written March 2008 to Culpepper Connections from Judith Dean Gallman Schenck (#45754), e-mail address. ED 20, Sheet 2B, Lines 89-96, 1314 1st Ave, Jefferson Co., AL (3 Jan 1920). interview with James Lee Culpepper. E-mail written April 2006 to Warren Culpepper from Valla Jean Owens Culpepper (#49604), e-mail address. Agnes L. Culpepper, Boarder, F, Wh, 18, md@17, AL/MN/MN. The Heritage of Chilton County, Alabama, Clanton, Alabama: Heritage Pub. Consultants, 2000, Repository: LDS Family History Library - Salt Lake City, Call No. US/CAN 976.181 H2h.